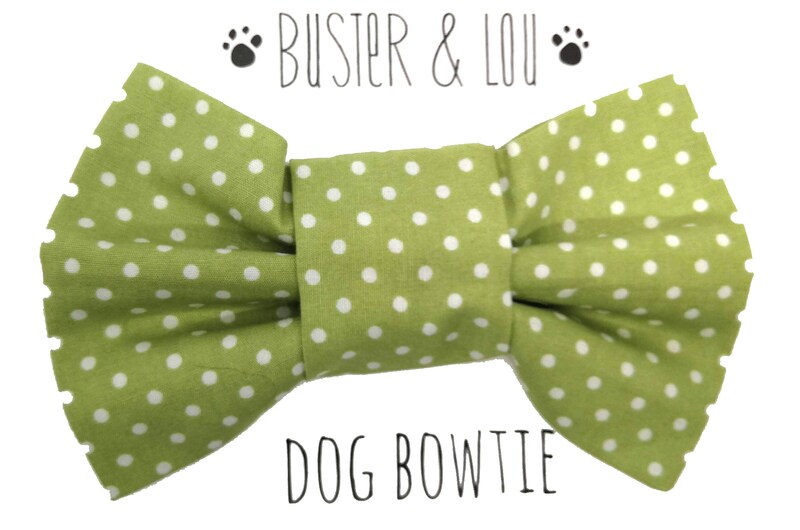 This green and white spotty dog bow tie is a definite for the fashionable dog in your life. Simply slide on your your existing collar. They are a great accessory for your dog and measures approx 15 x 8 cms at the widest part. 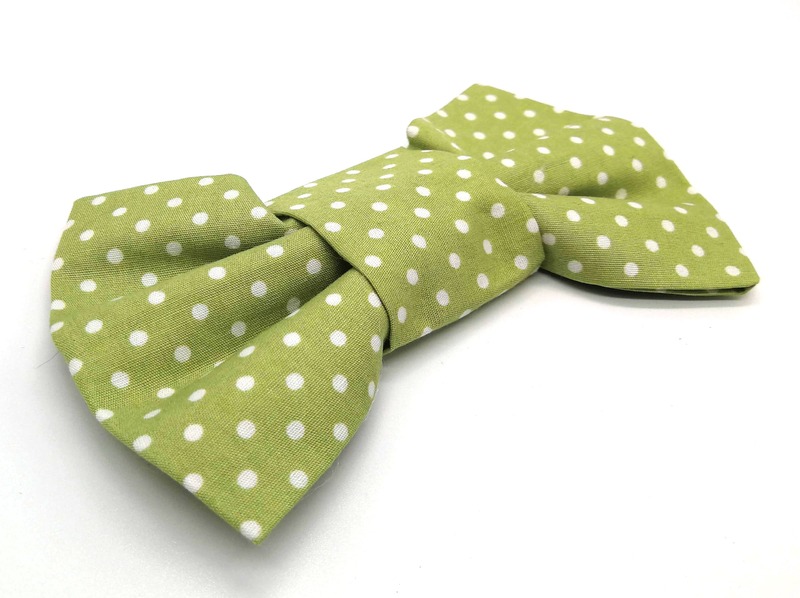 This is for the bow tie only. I accept payment via paypal, credit card, debit card, or Etsy Gift Card. Items are usually dispatched 1 - 3 days in of receipt of payment. If an item needs to be made and may take longer I will notify you within 24 hours. Items are sent using Royal Mail or by courier depending on the product. Next day delivery may be available at additional cost to UK customers only depending on time of day order placed. Please contact me to discuss your needs. International buyers are themselves responsible for any import duties or customs taxes/fees incurred in their own country on top of postage. Please note that delivery times to Europe, USA and ROW can take from 2 up to 6 weeks depending on the time of the year and postal companies in that particular country. This is beyond my control. Pet collars - every effort is made to ensure that you are completely satisfied with your items. Proper measurement of your dog is key for avoiding most returns. Please note the sizing information detailed in the description of each item to make sure the item you wish to purchase will fit your dog. If you have any questions, please feel free to contact me, and I will be happy to help you find just the right size for your dog. If you wish to return/exchange an item, please contact me for a return/exchange authorization. Without obtaining a return/exchange authorization I will be unable to offer a refund. All returned items must be unused and in the same condition as originally dispatched to you. We will also notify you of the recommended postal return method in order to avoid any unnecessary delays and to ensure your returned item reaches us safely. For any unwanted goods (not damaged) returns are welcome within 14 days of purchase as long as returned in original packaging. Refunds will only be given when item is received in the same condition it was shipped out. Postage will not be refunded. I am happy to supply wholesale. Please email me with what handmade products you are interested in.